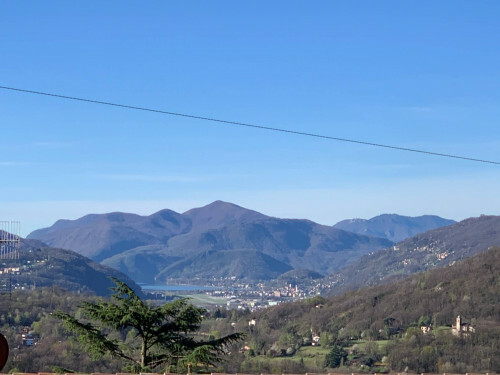 New Residence of high standing with only 4 Apartments, in Agra (Collina d'Oro), about 10 minutes by car or bus (city bus) from Lugano. TOP FLOOR: penthouse apartment No. 1, with 4.5 rooms and terrace, surface of 134 sqm + solarium (ROOF FLOOR) of about 122 sqm, private laundry and cellar = CHF 1'410'000.-. 2° FLOOR: apartment No. 2, with 4,5 rooms and terrace, surface of 134 sqm + private garden of 69 sqm, laundry and private cellar = CHF 1'250'000.-. 1° FLOOR: apartment No. 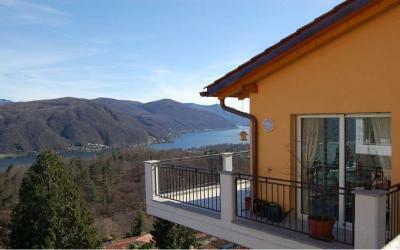 3, with 3.5 rooms and terrace, surface of 121 sqm + private garden of 38 sqm, laundry and private cellar = CHF 955'000.-. GROUND FLOOR: Apartment No. 4, with 3,5 rooms and terrace, surface of 121 sqm + large private garden of mq 311, laundry and private cellar = CHF 1'060'000.-. 2 interior parking spaces for each unit No. 1, 2 and 3 = CHF 100'000.- (2 carparks). 1 interior parking space + 1 exterior parking space for the unit No. 4 = CHF 80'000 (2 carparks). Can be purchased as a SECOND HOME! The municipality of Collina d'Oro has an interesting tax multiplier: 65%! See full documentation on request. * I allow you using my personal information.